Whether you are just beginning to develop the celebration of Christmas with your growing family, or you have been kissing underneath the mistletoe for years, Christmas traditions are an important part of what makes the holiday season so special. Have you ever wondered where some of our classic Christmas traditions actually came from? Have you ever thought about some of the more unique holiday traditions that are often celebrated in other countries? With most of your shopping complete and the holiday candy already made, maybe it would be fun to take a few minutes and find out. The mistletoe plant was commonly viewed as a symbol of peace among Romans, and it was often said that enemies who met underneath the mistletoe would immediately put down their weapons and embrace each other. Scandanavians also associated mistletoe with their goddess of love, Frigga. 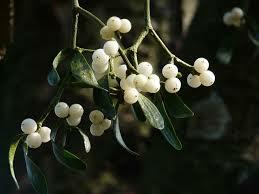 It is thought to be from this that we began the age old custom of kissing under the mistletoe. It was commonly believed that those who kissed underneath the mistletoe were promised happiness and good fortune in the coming year. 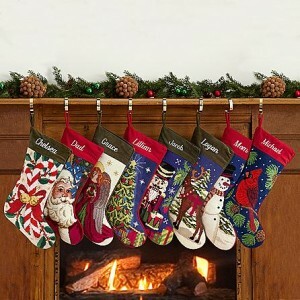 In the old days, people would often hang their stockings near the fireplace to dry. Legend has it that a nobleman who was upset at the death of his beloved wife foolishly squandered away his fortune, leaving his three lovely daughters without dowries to offer their future husbands. When St. Nicholas heard of the ladies misfortune, he rode his white horse to the nobleman’s home and tossed pouches of gold into the chimney, which were captured by the young women’s stockings. Initially created to symbolize the crooks of the three wise men, legend has it that the red stripe represents the blood of Christ, the white His purity, and the three stripes represent the Holy Trinity. 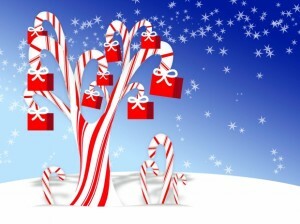 Candy canes were once given to children to keep them quiet during religious ceremonies, and these days candy canes remain a popular treat and festive decoration that is enjoyed throughout the holidays. Christmas occurred during the middle of winter in Northern Europe, when it was believed that ghosts and evil spirits could be heard howling in the blowing winds. 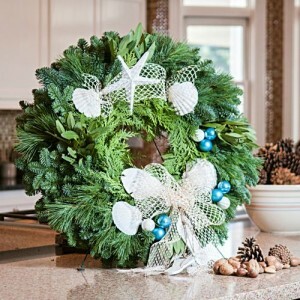 At that time, holly was believed to have magical powers since it remained green throughout the frigid winter months and it was often placed over the doors of homes to drive evil spirits away.